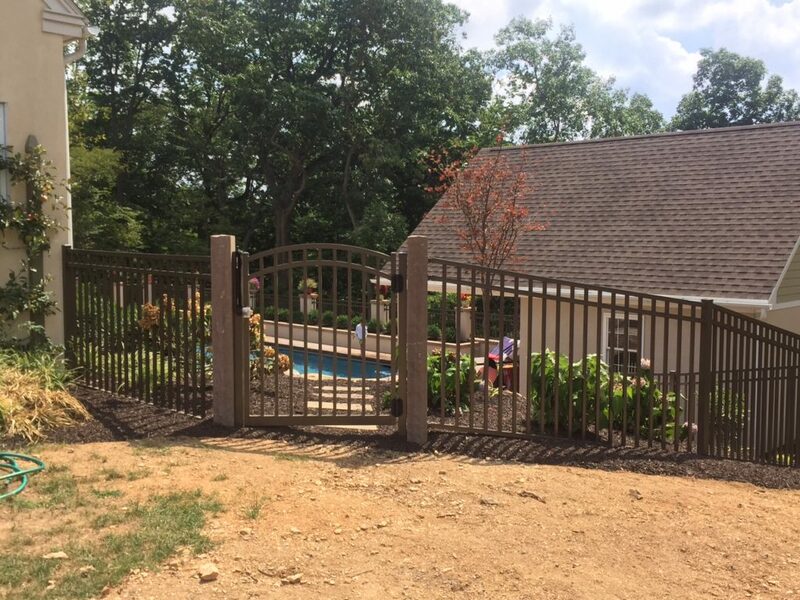 Industrial series pool-code compliant aluminum fence installed in Bronze Regis #5230. 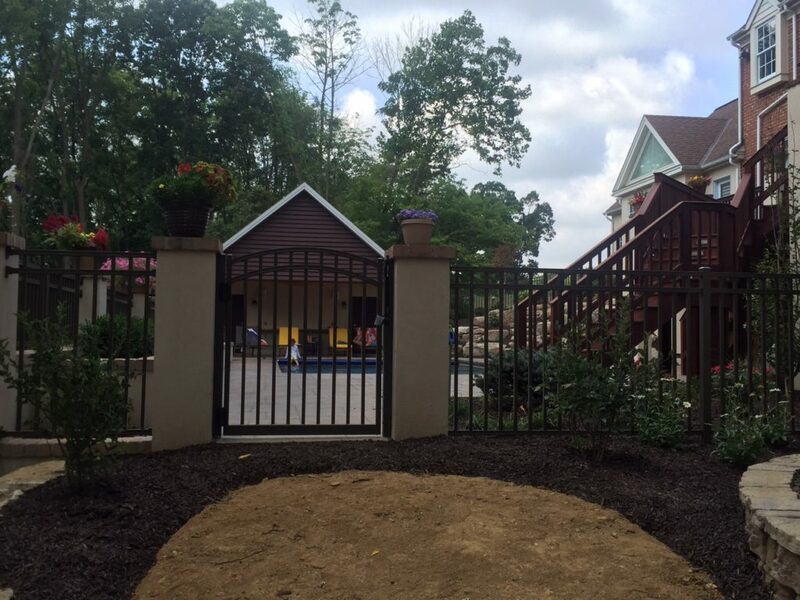 Fence sections between pillars are 54”h x 6’w and include arched walk gates. 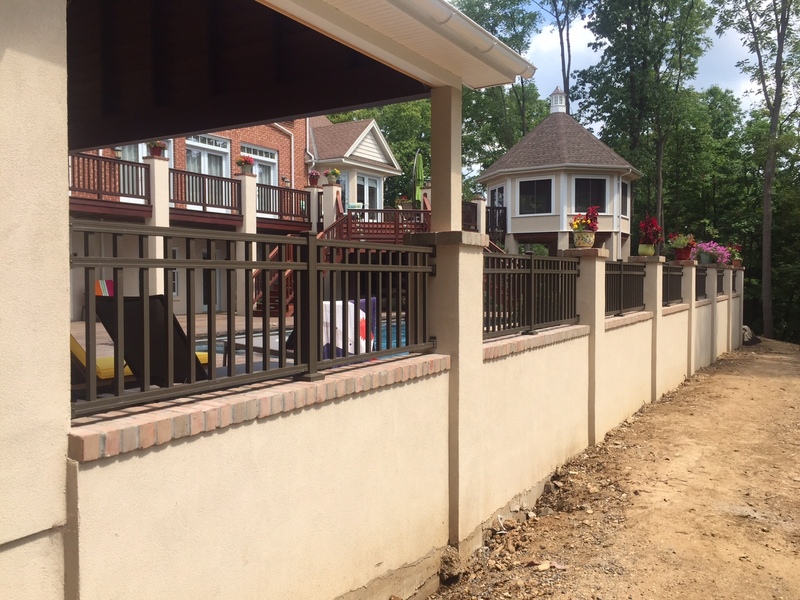 Fence sections along patio wall are 18”h. 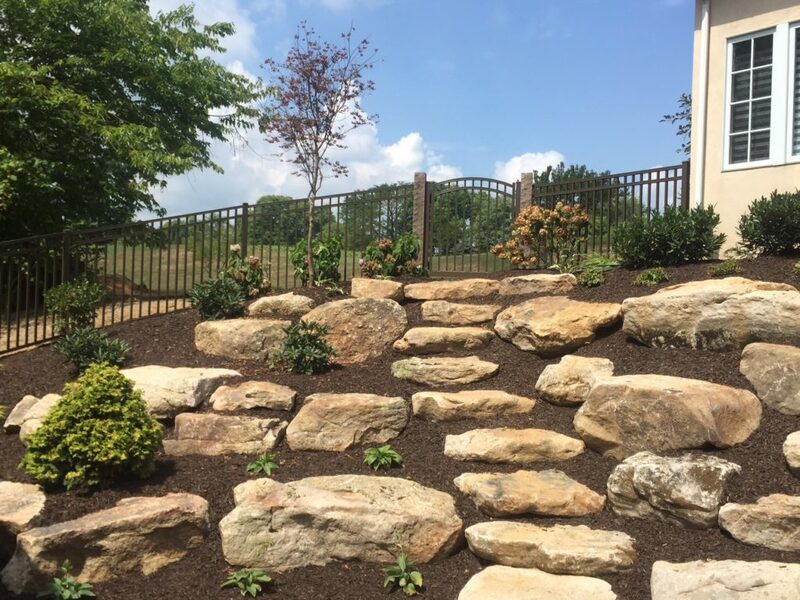 Walk gate on hill above patio installed using Stone Posts in Brownstone. 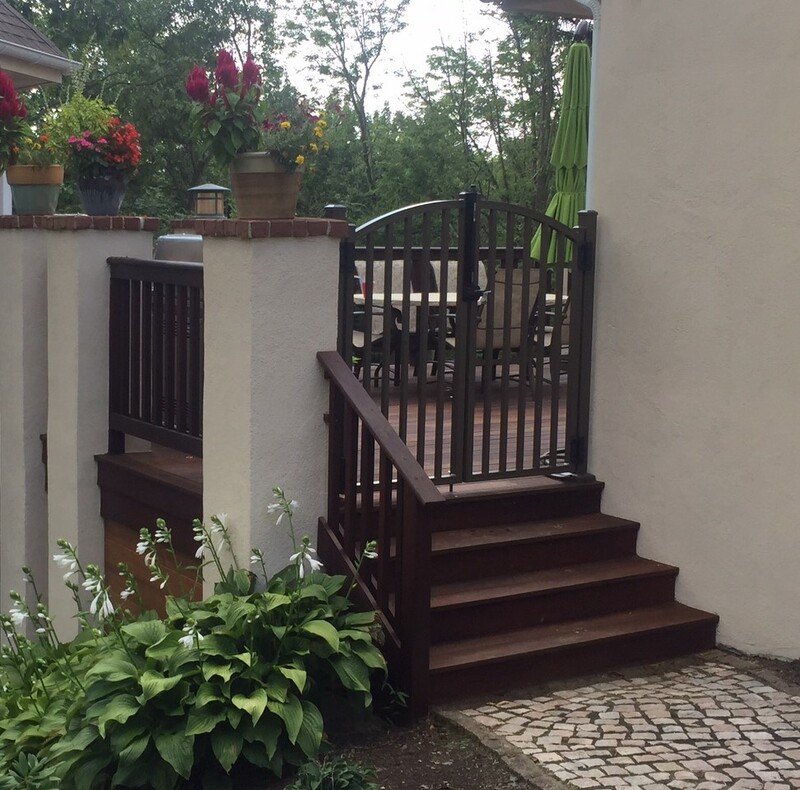 Continuous arched double swing gate mounted at top of deck steps measures 5’w.